…and the inflation that Central Banks are “targeting” in the bizarre claim that somehow hitting said targets will unleash economic growth. 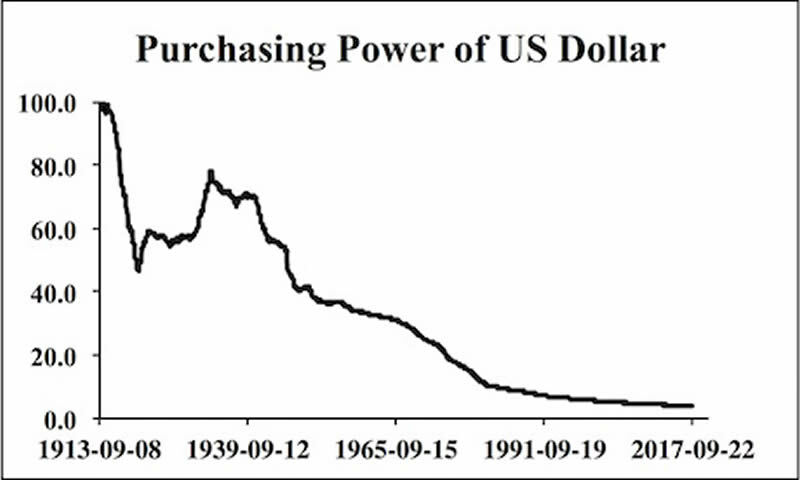 Inflation #1 is depicted in the chart below. This is the reason why everything “costs” more today than it used to. Inflation #2 is some kind of nebulous concept that Central Bankers talk about without ever admitting that they themselves change how they define “inflation” to suit their political purposes. 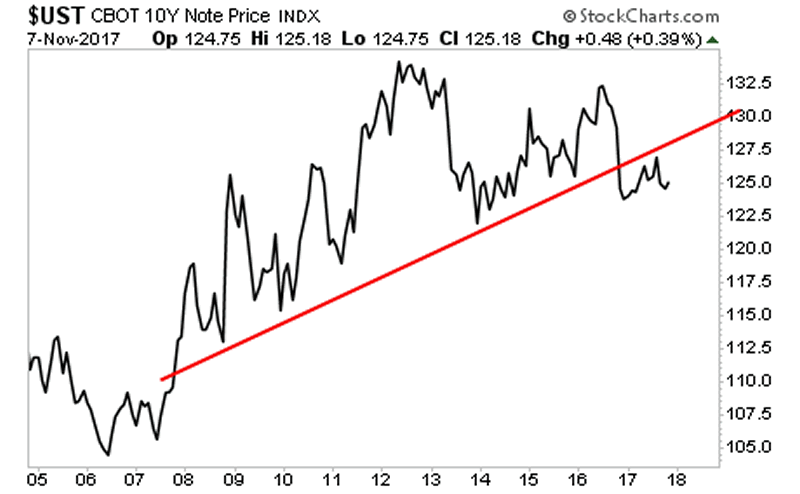 Indeed, hearing a Central Banker talk about how we need to target inflation in light of the above chart is like hearing a raging drunk talk about targeting an appropriate level of drinking. Jokes aside, inflation is a painful reality for the world. And the bad news is that it’s about to worsen dramatically. And when bond prices fall, the Everything Bubblebursts. The sovereign bond market is over $76 trillion in size. It’s the “smart” money in the financial system. So when it starts to “speak” it’s smart to listen. With that in mind, take a look at the chart for the 10-Year US Treasury. We’ve already taken out the bull market begun in 2007. The single most important bond in the world is tracking lower just as housing prices did in 2006 before the housing bubble burst.